Should animal cruelty be called animal testing? Animal cruelty has been an issue for many years, there are many things that are hurting animals but are not considered animal cruelty. There are many homes for these animals to be taken care of. Animal cruelty and animal testing are both helping people by finding cures for many diseases. An outcome from this is death, people make a big deal when their pet is hurt or sick. There are people that cause death or sickness in animals on purpose. In 2016 the rates of animals covered by welfare increased by 7% maybe it doesn’t seem as much but the truth is that these animals were only used as research, these animals were never shown love or compassion. “In addition to these laws and regulations, researchers and animal care technicians are guided by ethical considerations for the proper care and use of animals”(Speaking of Research ). This is important because we are treating animals as if they were objects. Half of the animals being tested on our pets to people. Animal cruelty is the same thing as animal testing because animals die animals don’t get love and animals can’t defend themselves and can’t speak up. According to PETA animals live unfair until they die or they get killed. This article states “Think about spending your entire life like this, a prisoner, even though you have committed no crime. 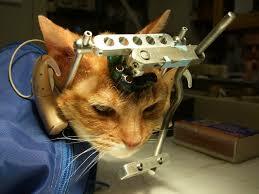 This is life for an animal in a laboratory. It is deprivation, isolation, and misery.” This matters because they want “you” a human to put yourself in the place of an animal, and understand how animals feel. Moreover, there are many places animals can go and get adopted and well cared for. There is no reason why animals should be burned. The U.S allows for animals to be burned for testing. If you have a pet imagine it being stolen and burned by a group of kids then imagine any pet being burned for no reason but they call it “testing”. Does that make it okay? Here is an article I read about studies showing how many animals die from animal testing yearly. “Each year, more than 100 million animals—including mice, rats, frogs, dogs, cats, rabbits, hamsters, guinea pigs, monkeys, fish, and birds—are killed in the U.S” (PETA). This quote matters because the government isn’t doing anything helpful for the defenseless animals. Every year over 100 million, that’s a lot and the people trying to stop animal cruelty are the same people trying to stop animal testing because they understand that it’s the same thing. These animals don’t have anyone there for them, no one to show them, love. Moving on, people doing research are killing so many animals and still don’t find a cure. They are being negligent by not admitting at they are doing it without a reason. For example, in an article I read, I found “ Human disease and human response to drugs and other chemicals should be studied in human-relevant systems”(NAVS). This quote shows how they are killing animals by performing a test that might not even help humans. This quote clearly shows how the procedures being used to find cures are unnecessary. Animals go through pain while dealing with diseases to help humans but the reality is they shouldn’t have to. How many more animals will die before they put a stop to this. Some may argue that animal testing is necessary for the better of the people for example quote I found from plant science, is “It’s the law! All drugs have to be tested on animals before they can be tested on humans To make sure human patients are given a safe dose of a drug. Patients feel safe and are more likely to trust medicines if they know they have been tested on animals first”(Planet Science). This quote is important to analyze because many argue that it’s the law and if it is it shouldn’t be. Moreover, based on my background I know that when a young person hurts an animal automatically people see a future killer, the reality is that by not putting a stop to this adults become murders of the poor animals. Hunting is another example of animal abuse and people don’t realize when one animal becomes extinct it affects the population in the world where animals should live not in a small box overpopulated and sick like the animals in research labs. In conclusion, animals shouldn’t be allowed to be tested on if we are trying to stop animal cruelty. It is unfair for the crashers to be manipulated and used as an object. 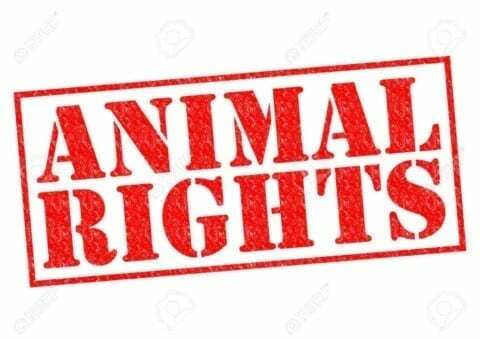 Animals have rights too and we should be fighting for them because they don’t have a voice. Humans are just looking out for humans it’s time to stop animal cruelty and in order to do that animal testing needs to be stopped. “Animal Research Regulations in the US.” Speaking of Research, 4 Dec. 2017, speakingofresearch.com/facts/research-regulation/. This source is trustworthy because it has pictures and graphs of all the information. It’s professional because the writer gives credit at the bottom of the article. “Cruelty to Animals in Laboratories.” PETA, www.peta.org/issues/animals-used-for-experimentation/animals-laboratories/. This source is credible because it’s an animal rights campaign known by many people. They also have many survival stories. I trust this source because it was the first source I found when I researched animal testing and animal abuse. I trust this sight enough to use two different articles. “Failure of the Animal Model.” National Anti-Vivisection Society, www.navs.org/the-issues/failure-of-the-animal-model/#.WrNkMGinGeE. This source is trustworthy because they are an important organization who care about the animals and want to protect them. They are an organization of scientific research on animals without harming animals. Animal Testing Is Animal Cruelty by Liz is licensed under a Creative Commons Attribution-ShareAlike 4.0 International License.